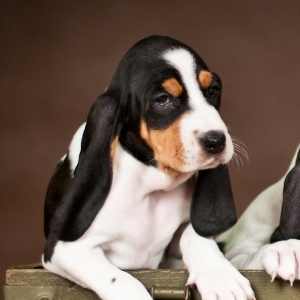 When talking about this breed’s temperament, don’t let the “small” in their name fool you. Intelligent, hard working, calm, and usually friendly dogs. Excellent hunters, they thrive when receiving plenty of exercise. 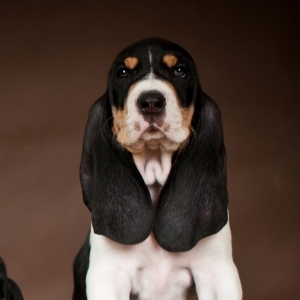 Known for their precision, the Swiss don’t disappoint with this to-the-point naming of the Small Swiss Hound. 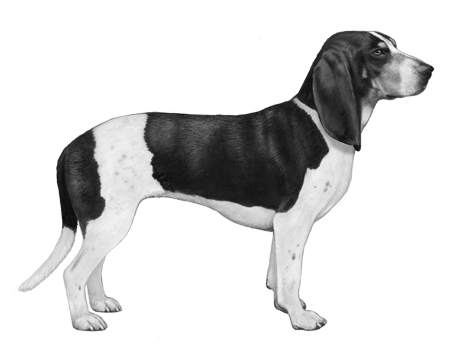 Developed at the beginning of the 20th century when hunters in Switzerland needed a dog that could adapt to their new methods, as the name suggests, this new breed was a smaller version of the original Swiss Hound. 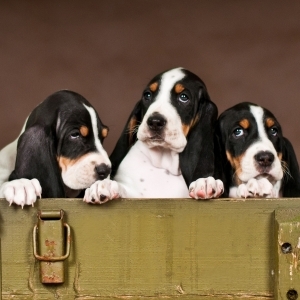 They came to be by carefully selecting Swiss Hounds and crossing them with Basset Hounds. This new shorter breed reached the goal of retaining the outstanding hunting abilities as well as attractive colours of its predecessor. They are known for the same excellent nose, and what is described as a “melodious voice”, as well as the same passion to trail their prey. Their height ranges from 16 to 18 inches (41-16 cm) for both male and female and they weight about 33 pounds (15 kg). There are four main colour varieties but they are generally some version of tri-colour, or black and white, grey white, yellowish-red to orange and white, or black and white speckled. There are two coat varieties, smooth and rough. When talking about this breed’s temperament, don’t let the “small” fool you, they certainly don’t perceive themselves as such. Friendly, reliable, companionable, and strong, they have the “big dog in a small dog’s body” personality to make up for their small stature. With a lively disposition they do well as a family dog, but definitely need adequate exercise and attention.